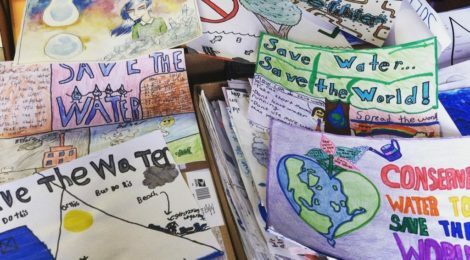 There’s lots going on in Mahtomedi and White Bear Lake schools these days as students learn the “why” and “how” of caring for our precious water resource through educational programs developed and taught by Race 2 Reduce, the White Bear Lake area’s innovative water conservation program. At the high school level, Environmental Science students are brainstorming projects targeting water conservation or wise use of water resources. They will be implementing at least one of these projects in their school or the Mahtomedi community. This is just a glimpse at all that is happening with Race 2 Reduce in Mahtomedi — with more activities happening in the White Bear Lake School District as well! Stay tuned for more news as the school year wraps up. Sarah Alexander is project coordinator for H2O for Life. ← A bike/walk-friendly community? Imagine that!